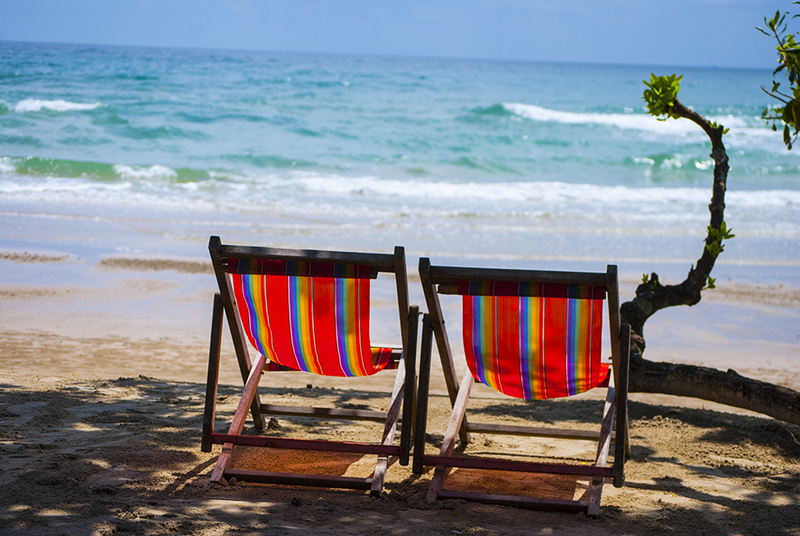 A family vacation to Thailand is well worth the flight, whether you live in the United States, Europe or beyond. We were lucky enough to live semi-close to the friendly country while living in Qatar. Our flight was only 6 hours and relatively easy. Thailand is known as “the land of smiles” and truly lives up to it’s name. People are willing to fly much further distances to experience this beautiful paradise. 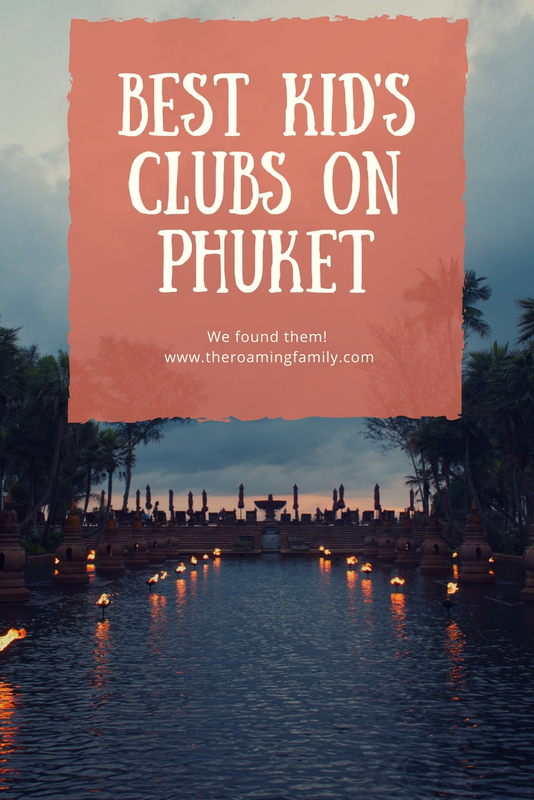 Our trip started with Bangkok and ended with some beach time – where we found the best kid’s clubs on Phuket. Our lovely stay on the island was with the JW Marriott Phuket. One of the greatest resorts ever. This was seriously a first class, 5 star experience and unbelievably wonderful for a family. 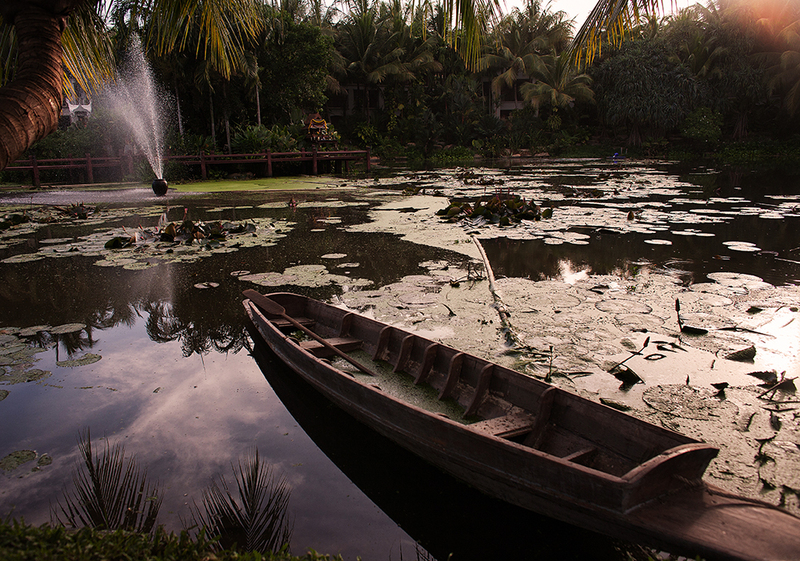 Everything from the open air lobby, to the restaurants to the giant lotus pond and beach was top notch all the way. We seriously considered buying a time share after this experience. One of the things we liked best about the resort was the kid’s club. Consisting of a kid’s area and a teen area, there is something for the whole family. The kid’s club accepts children 4 and over, like most kid’s clubs; however, you can drop your child off for playtime with a hired sitter if under 4. The hotel has plenty of people on staff to watch your child and the Thailand rates aren’t as expensive as a USA rate. We found it very reasonable and felt completely comfortable. Over in Relax Bay is Le Meridian Phuket. The resort is enormous and has an absolutely gorgeous beach (which is also very private). In addition to family friendly activities such as a 9 hole mini golf course and Bocchi Ball, the LM Kid’s Club is very well regarded. Activities include paper crafting, ice cream making, Batik painting, learning Thai dance, sand castle sculpting, cartoon drawing, and paper plate crafts. The club is free of charge to guests but they too accept only those over 4. Again, a babysitter can be hired to watch after your child from the experienced staff. There are so many fun things included in this club – including an great outdoor play structure. Le Meridian is a 4.5 star hotel, so it’s does not have the extreme luxury feel of JW Marriott, but the resort is clean, fun for families and has everything a family needs. 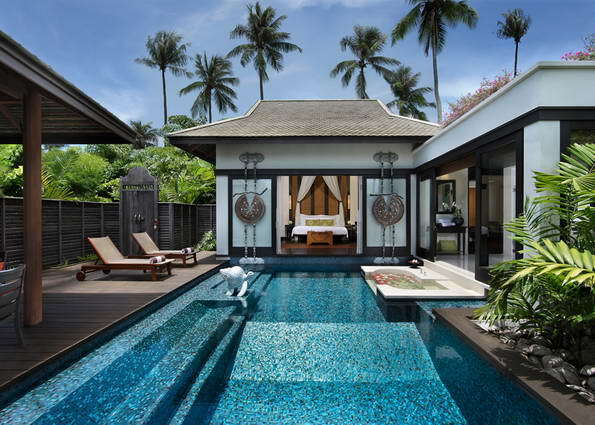 Designed with typical Thai-style architecture, the Anatara is true family luxury. 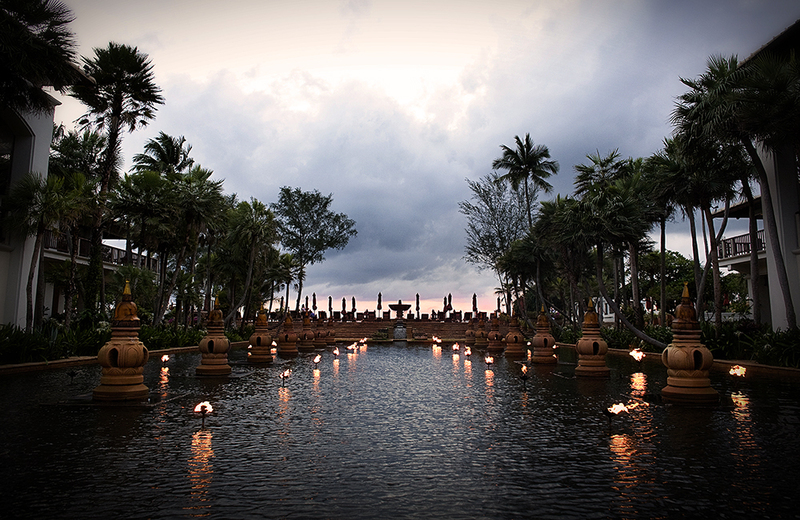 Situated on Mai Khao Beach, this resort also incorporates jungle into it’s design. 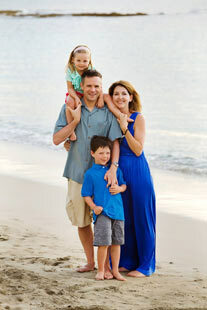 91 villas dot the resort, making it perfect for a family of two to a family of 6. Villas are one, two or three-bedroom and come with a private plunge pool. This resort and the way it’s laid out truly blows me away. It’s perfectly designed for families, from the washing machines in the villas to the fully equipped kitchens. The kid’s club is known as The Turtle Club and is a little more understated than some other resorts, but perfectly adaquate. It’s brightly colored to appeal to kids and has a variety of activities each day. The staff also gets a big thumbs up. Similarly to other resorts, kid’s must be 4 years old but babysitters are available upon request. 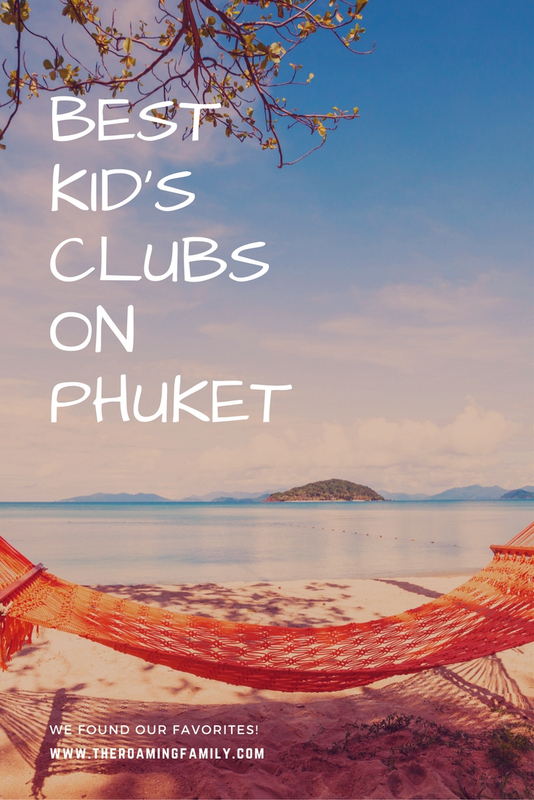 Ranking up there as one of the best kid’s clubs on Phuket is the facility at Banyan Tree Phuket. 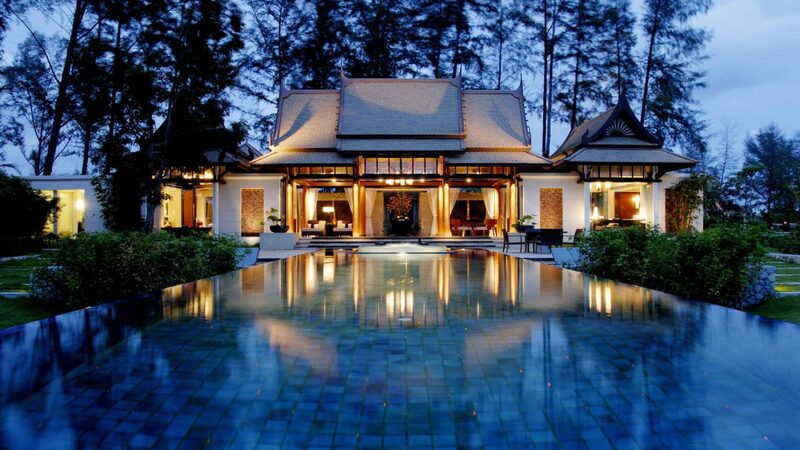 Many people find this resort appealing because it’s designed in a distinct Thai style, much like Anatara. And, again, it has a spectacular private beach right in front of it. Funnily enough, the kid’s club at banyan Tree is also called The Turtle Club and is open daily from 10am to 5pm and provides both indoor and outdoor activities. Kids have the unique opportunity to earn the Banyan Tree Ranger Status through nature walks and daily activities learning the local flora and fauna. Other unique activities include Zumba Dance, Thai Boxing, Mini Olympic Games and Recycle Creations. Four years old and up here too so hire a sitter if you have a younger one. Thailand truly was one of our favorite vacations as a family (and I was a crabby 12 weeks pregnant at the time). The weather was perfect, even though we went during rainy season and we didn’t encounter unfriendly face the entire time we were there. Kid’s clubs are really important to us as a family and we love showing our kids how other cultures work. I firmly believe that children need to interact with adults that aren’t their parents. Kid’s Clubs in well-regarded hotels are the perfect place to introduce them to interacting with adults. 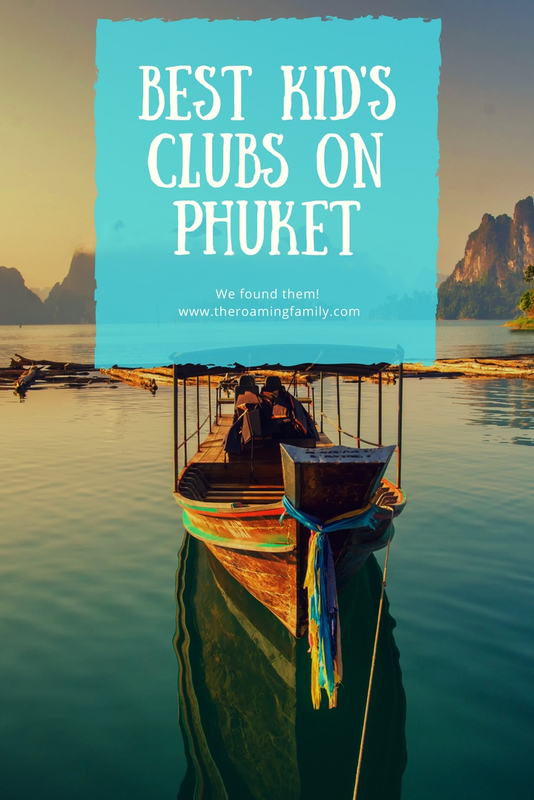 Phuket, with a plethora of family friendly hotels, as no shortage of kid’s clubs. 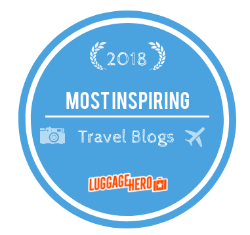 But these listed above are consistently rated well on trip advisor as well as my connections in the travel industry.